Tech companies entice consumers to upgrade to the latest technology in phones, computers, and other IT equipment. Doing so leaves the companies with a problem on the back end — what to do about recycling the old equipment? According to Lisa Jackson, Apple’s VP of environment, policy and social initiatives, Apple now thinks as much about product recycling as they do about product design (see Wall Street Journal article). To that end, Apple introduced Liam, a robot capable of taking apart 1.2 million iPhones in a year. Liam separates iPhone materials so that they can more efficiently be recycled. Other tech companies are designing products that are more easily taken apart than they were previously. Parts that snap together are replacing screws and glue. Samsung has said that they were able to eliminate 30 of 38 screws in their 55-inch curved television, allowing for the TV to be taken apart in less than 10 minutes. Dell uses modular design with removable parts that can be upgraded or repaired to help extend the product’s life. In 2013, Americans disposed of 3.14 million tons of consumer electronics, largely flat since 2009 but a major increase from 1.9 million tons in 2000, according to the Environmental Protection Agency. 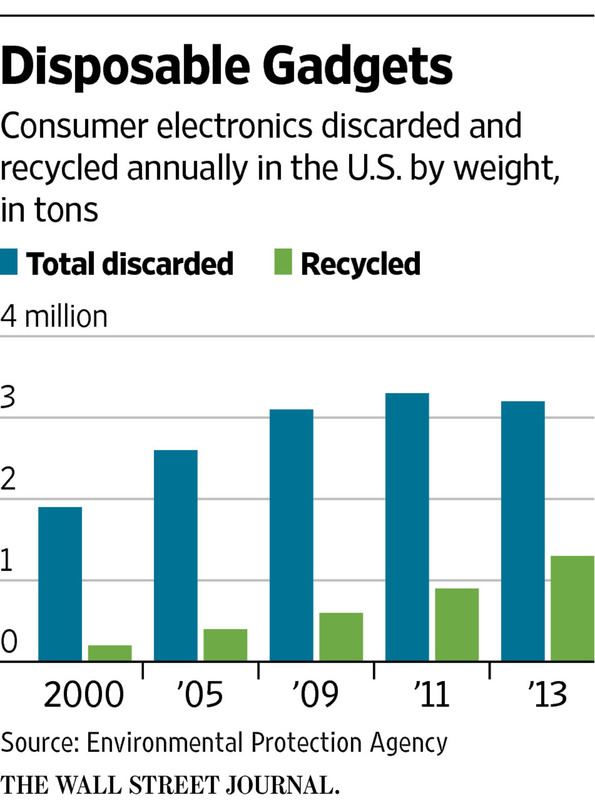 About 40% of those discarded electronics were returned for recycling in 2013, compared with about 19% in 2009. Part of the motivation for manufacturers to support recycling stems from growing consumer concern about electronic waste. In a 2014 Harris Poll of roughly 2,000 U.S. adults, 86% said they wished manufacturers would design products for easier recycling. They also said they’d spend an average of 10% more for a product if they knew it was made from recycled materials. Hundreds of millions of laptops, phones, servers, cords, printers, monitors, and hard drives are discarded each year with just 18% recycled. That means an alarming amount ends up in landfills. To ensure that your old IT equipment doesn’t end up in a landfill, be sure that the organization you’re trusting to recycle your equipment is either R2 or E-Stewards certified. 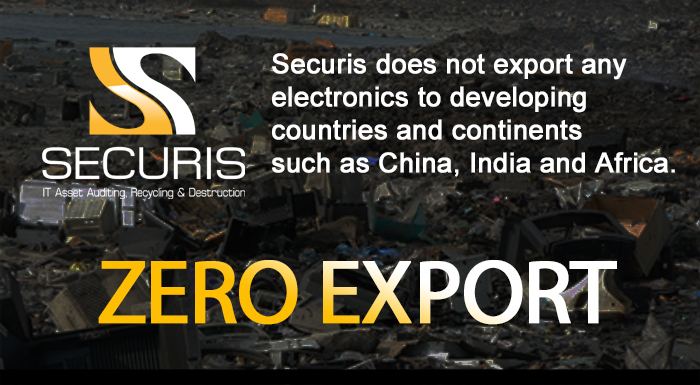 Securis is R2 certified which means that the IT electronics that we handle are stripped of sensitive data and then processed in an environmentally-friendly manner.